The Smithsonian’s National Air and Space Museum announced that Boeing is donating $30 million to support the museum’s educational activities and exhibitions, including an extensive renovation of its main hall, “Milestones of Flight.” It will be completed in time for the museum’s 40th anniversary in 2016, which is also the aerospace company’s 100th anniversary. 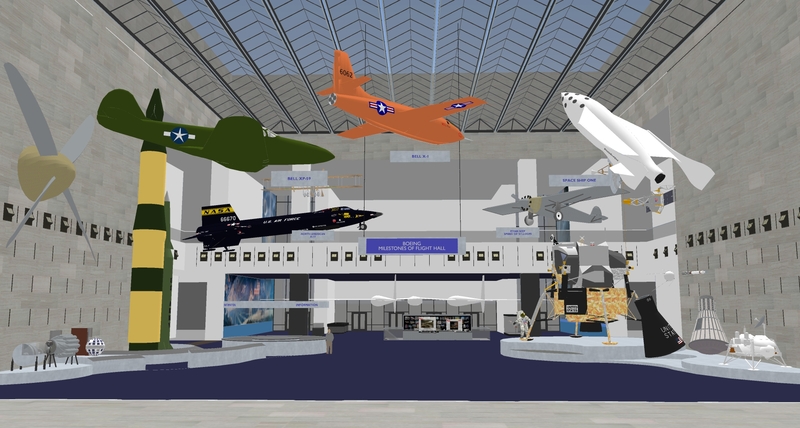 The expanded exhibition will trace the interconnected stories of the world’s most significant aircraft and spacecraft, with digital displays and a mobile experience in a new design that stretches from one entrance to the other, Independence Avenue to Jefferson Drive (National Mall). The Milestones exhibition, which is the museum’s central and largest space, has looked much the same since the museum opened July 1, 1976. More than 310 million people have passed through the exhibition during the museum’s 38 years of operation. The new installation will give the hall a streamlined “21st century” look and features themes and displays suited to today’s visitors. The square footage of the exhibition will be enlarged, and the displays will take full advantage of the atrium’s two-story height. Key artifacts in the expanded hall, selected because they tell multiple stories, will be organized to connect themes. Some of the objects, such as the Ryan NYP “Spirit of St. Louis,” the Bell X-1 “Glamorous Glennis” and Mercury “Friendship 7,” will be familiar to visitors because they already reside in the gallery. But other icons—the huge Apollo Lunar Module, for example, the Telstar satellite and the model of the “Starship Enterprise” used in the Star Trek television series—will be surprises. The National Air and Space Museum's main gallery will be renovated thanks to a donation by Boeing. The new Boeing Milestones of Flight Hall will open in 2016.